In this article we en devour to outline some of the benefits of using soaps and lotions on your little one that contain goat milk. Why are goat milk products considered a better alternative? Goat Milk is becoming an increasingly common ingredient in skincare products and more recently in skincare products for babies. So this poses the question of why goat milk skincare products are considered to be a better alternative? It is important for skincare products to contain similar PH levels to our skin and especially for babies skin. If a product has a PH level that is too low, then it could cause dry skin leaving babies more susceptible to nappy rash or eczema. On the other side of the scale, if the PH level is too high then baby acne could appear. So using soaps or lotions that contain goat milk could help prevent babies skin from becoming too oily or too dry. As we are all born with different skin types, some of us have naturally dry skin and some of us have naturally oily skin, using goats milk skincare products on babies can also help neutralise oily skin or dry skin as it helps to balance the PH levels. It also leaves the skin feeling soft and silky like it should. Using soaps and skincare lotions with goat milk can help reduce the risk of skin irritation such as nappy rash and allergic reactions as goat milk products don't contain additives like alcohol, petroleum, and preservatives. Using goat milk lotions can also help sooth nappy rash, eczema and baby acne as the natural nutrients found in goat milk help to reduce redness, itchiness and bumps in the skin. Our skin is the largest organ in our bodies and studies have shown that approximately 60% of what we put on our skin gets absorbed into our bloodstream. Goats milk is very high in vitamins, minerals, nutrients, protein & lipids which help nourish your skin and remove dead skin cells, leaving your skin feeling soft and supple. The vitamins goat milk contain help protect skin from invading bacteria and chemicals and also give it anti-inflammatory properties that can help reduce acne and redness. Besides the gentle calming effect on the skin, goat milk is also used widely to brighten the skin's complexion. Interestingly, goat milk contains probiotics, which are living micro- organisms that help protect the skin from harmful ultraviolet light. 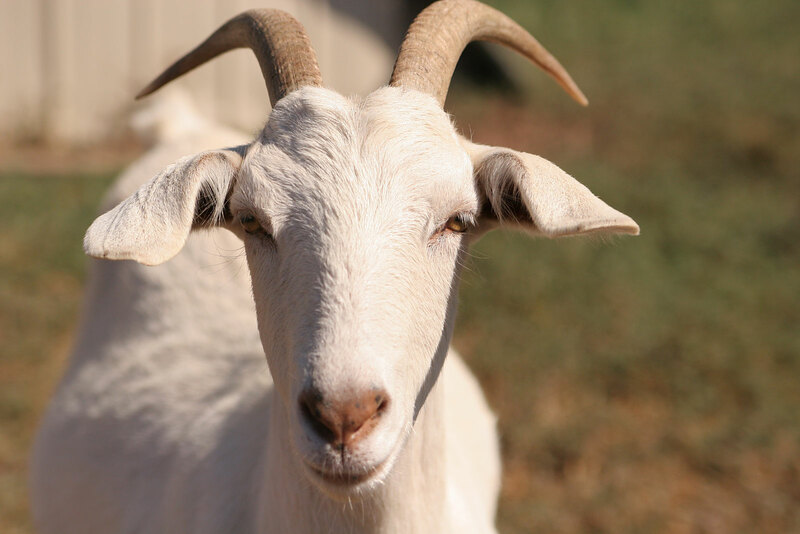 Using goat milk skincare products can also reduce wrinkles and delay signs of skin aging. Not that we need to worry about reducing wrinkles in babies! However it could be good for the rest of the family. This range has been specifically formulated for babies delicate skin however there is no reason the whole family can't use these products, especially adults with sensitive skin or are prone to eczema and teenagers teenagers with acne. For everyday use, the Goat Milk Soap or Goat Milk Body Wash are good picks. The soap is made from sustainable palm oil and there is also a Goat Milk Shampoo. For nappy change there is Goat Milk Moisteriser and Goat Milk Baby Wipes which are enriched with soothing goats milk. The full Baby U Goat Milk range can be found here. We hope this article has given you an insight to some of the key benefits of using skincare products that contain goat milk. In this article we touched a little on how goat milk lotions can help prevent or reduce nappy rash. As Nappy Rash is very common and most babies will get it some stage, we will dedicate our next blog post to Nappy Rash and explain some of the common causes of "Nappy Rash" and how to prevent or reduce it. Look out for it in February 2016.